Peter Ferdinand is an Emeritus Reader in Politics and International Studies. He studied Russian and French at Oxford and Russian Government at the LSE, before completing a DPhil on Soviet politics in the 1920s. On the way he also studied at Kiev University in Ukraine and at Harvard University. 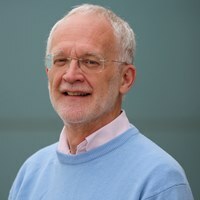 He has taught at Warwick since 1976 and has also been a British Academy Research Fellow at the Chinese Academy of Social Sciences in Beijing. Between 1989 and 1993 he was on secondment to the Royal Institute of International Affairs, Chatham House, London, where he was Head of the Asia-Pacific Programme. In 1993-4 he was a specialist adviser to the House of Commons Foreign Affairs Select Committee enquiry into UK relations with China up to and after the hand-over of Hong Kong in 1997. In 2003-4 he was Acting Chair of PAIS.